Spending time outdoors the environment takes it’s toll on our skin, hair and one’s odour. Taking care of these aspects is easy when close to home but when out on expedition it becomes much harder. I am very interested in natural based cosmetic solutions and I feel resorting to harsh chemicals and metals which are the main ingredients in most products to use on oneself is not the answer when in town or in the backcountry. Here are some of my favourite natural based cosmetics for use on expedition and every day at home! 1. Salt of the Earth Classic. This is a smooth stick of salt that acts as a deodorant. Apply straight after a wash or simply wet the stick and apply. It keeps the bad smells away and if you are working particularly hard then apply twice a day. 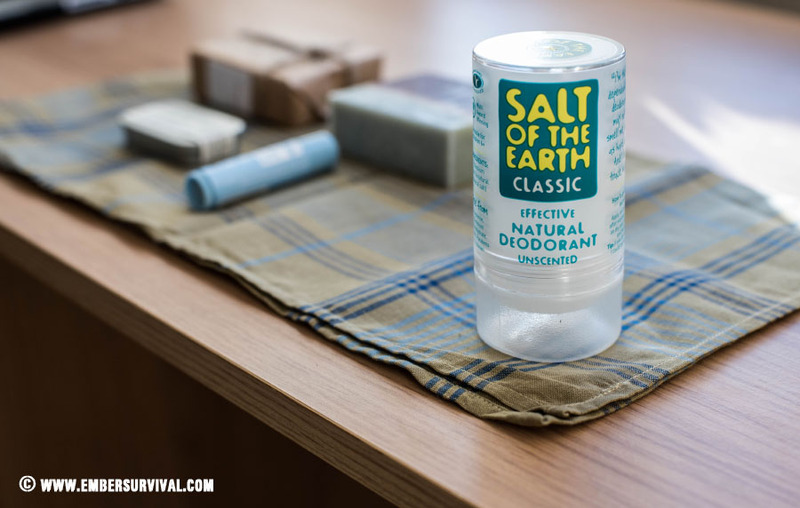 We apply deodorants to very sensitive parts so I have used Salt of the Earth for years as I simply don’t want to have aluminium or other aggressive chemicals in these areas. The stick lasts a very long time so you only need carry one. It also comes in a smaller travel option too. 2. Read The Label Lip Balm. Their Lip Balm contains plant wax, almond and orange oil among other ingredients all aimed at keeping your lips from drying out. Out on expedition I would not dream of leaving the house without lip balm as it’s just a nightmare when you are out and your lips get battered from the wind, rain and sun. Its vital to have a good skin care routine in the backcountry so to keep everything happy so you can concentrate on your job when outdoors. Salt of the Earth stick and Read the Label lip balm opened for you to see. 3. Read The Label Shea Butter. The raw unfiltered variety is such a wonderful expedition cosmetic. Not only could you eat it (in an emergency) but it works wonders at keeping your skin hydrated and protected. Canoeing for a multi week expedition, travelling to remote areas or working in the woods our skin needs to be looked after. If we fail at this task then it will crack, become weak and damaged. This is bad news as it could mean you cannot use a knife effectively without being distracted by a sore spot on your hands, this could also easily be a canoe paddle. With every stroke you are being put off by pain from your skin. Out on the hills with a strong wind all day and your face will get a hammering, without then looking after it back at camp you are only going to get worse by the next day. I see looking after your hands, feet and face is just as vital as kit maintenance when out in the field. 4. 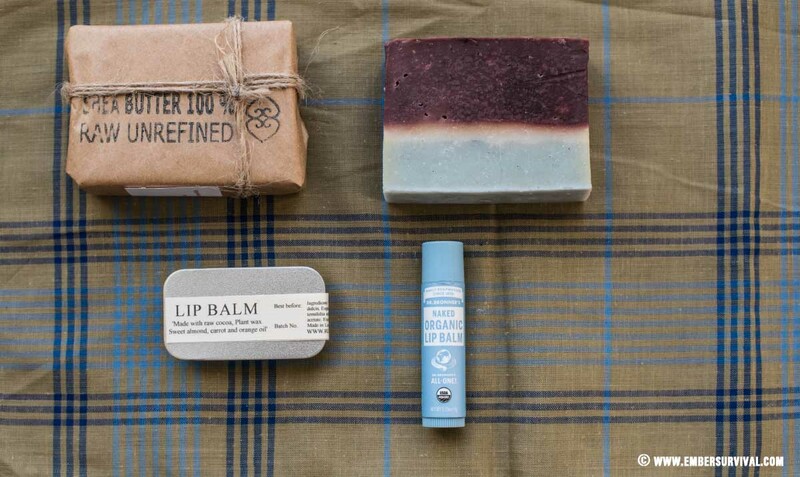 Read The Label Soaps. These come in a variety of smells and uses. I normally go for the nettle as it soothes the skin and nourishes it at the same time. These require you to add water but once dried can be stored wrapped in grease proof paper in a dry bag. 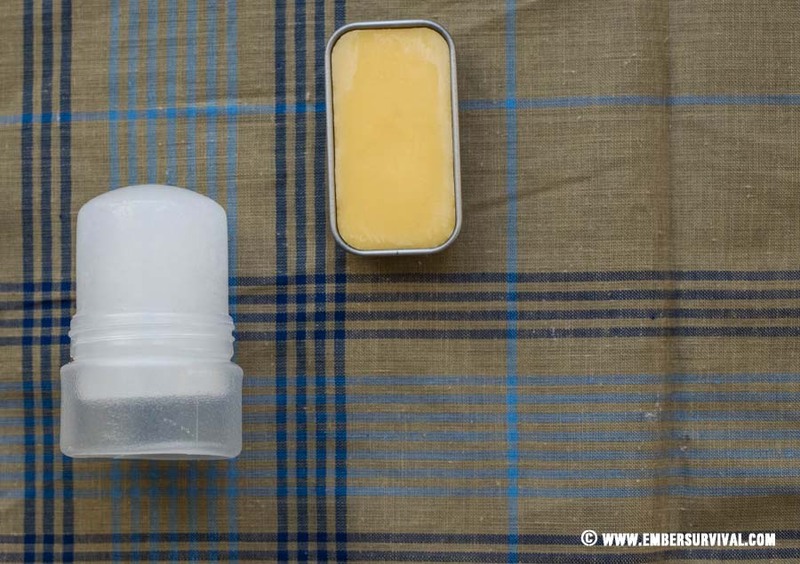 These are fantastic for expeditions and travelling as they are compact, wont spill inside your rucksack and nourish the skin without drying it out. 5. Dr Bronners Organic Lip Balm Naked. This is another great lip balm containing bees wax and hemp oil. These two amazing ingredients help nourish and protect your lips. Having something small so you can carry it on your person is super helpful as it allows you to apply it throughout the day.